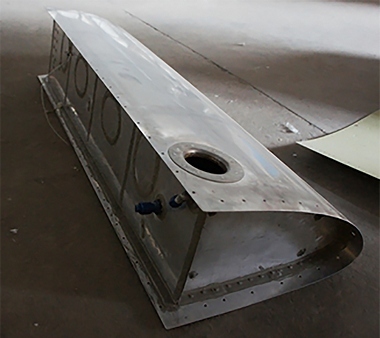 The Falcon 402 Project was the brain child of Hendrik Venter of DMI engineering. DMI were the developers of the highly successful Gemini range of gate automation motors. While searching for new business ventures coupled with Hendriks lifelong love for aviation a demand for a new breed of light aircraft was identified. 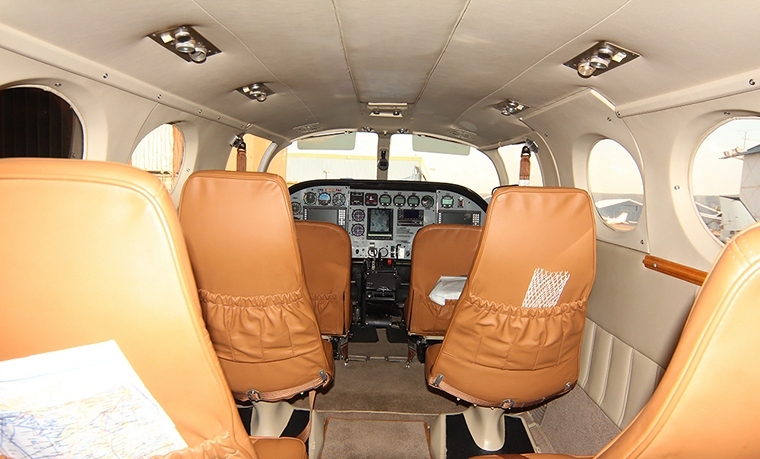 Hendrik envisaged breathing new life into one of the most highly regarded eight seaters ever built, the Twin engine Cessna 402. The Original Cessna 402 was powered by two 300hp continental turbocharged motors mounted on the wings of the aircraft. These made way for one single Walter/Diemech M601D Turbine driving a three bladed Avia V50B propeller. Due to the ever increasing cost and challenges of Avgas availability an aircraft that was capable of operating on Jet A1 became very attractive proposition, and so in the early 2000's Falcon Air was born. 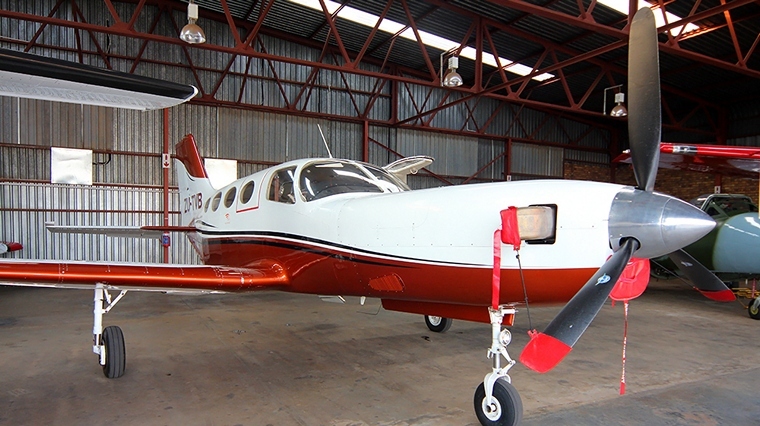 The Cessna 402 was chosen partly due to the availability of the airframes, 1535 Cessna 402's were built between1966 and 1985, they were unpressurized and designed to be inexpensive to purchase and operate. They were an outright favourite for small reginal airlines and charter operators. To date Falcon Air have completed three Falcon 402s which are privately owned and operated, the first being ZU-MDI followed by ZU-MIA and ZS-TVB. 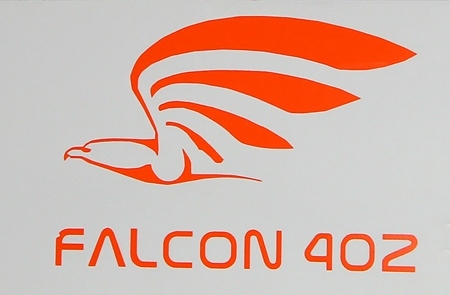 The fourth Falcon 402, ZU-SWL, has just been granted "proving flight authority" by the CAA and test flights will be commencing within the next few weeks. 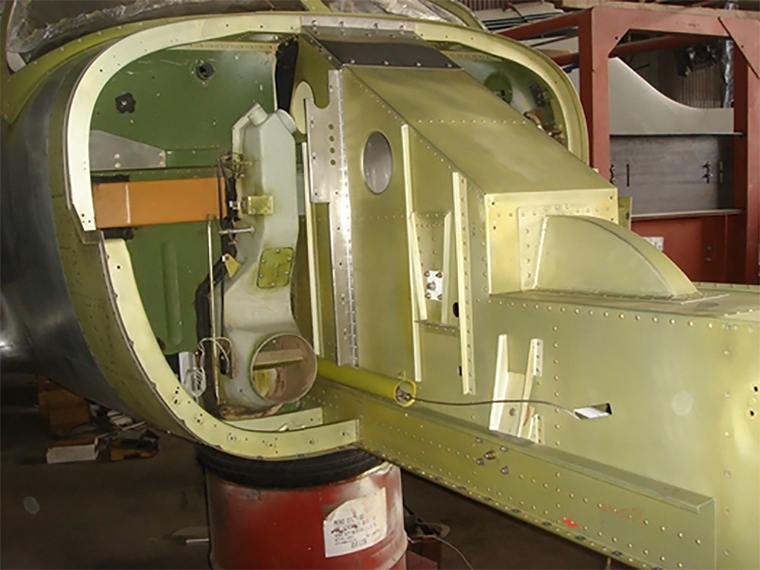 Falcon Air were also involved in the Atlas Angel project where they designed, developed and implemented the firewall forward of the turbine conversion. 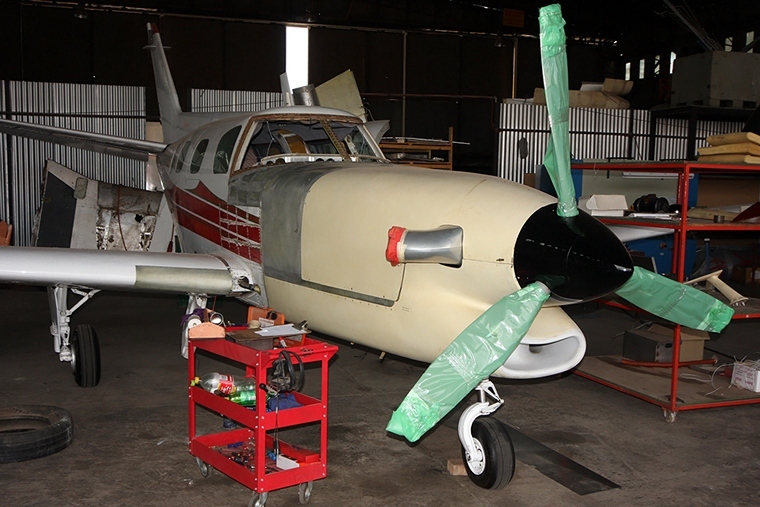 A Beechcraft Duke was used as a platform to develop a 6 seat single engine turbine as a further ongoing project by Falcon Air. 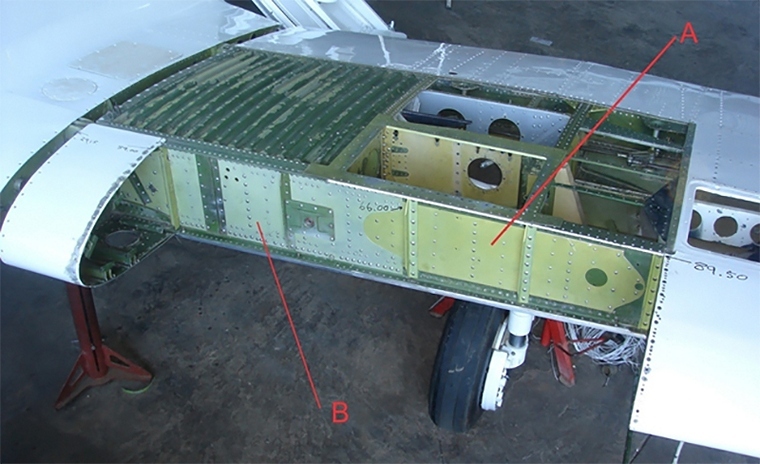 Redesigning an existing twin to a single proved to be no mean feat, when the engines were removed from the wings it was noted that the wing strength was compromised so extra strengthening straps were added. The space left in the wing was quickly filled with two extra fuel tanks which gave the aircraft a much better endurance. Adding the extra fuel tanks came with their own challenges as the entire fuel system had to be redesigned, the existing fuel supply system was fairly cumbersome and a new simpler yet more effective fuel system was added. 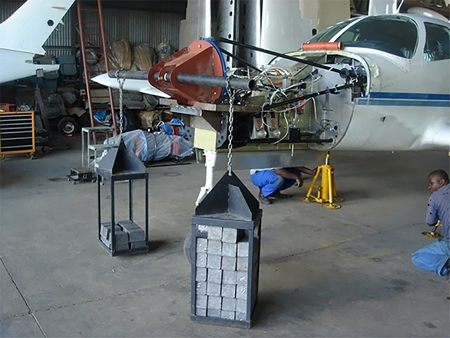 After the addition of the tanks and reinforcing straps the wing loading was tested and proved to be much stronger than the original Cessna 402 wing. The centre of gravity was also changed when the engines were removed and after doing the math it was established that the lighter Walter had to be placed pretty far forward on the nose to correct this, leaving space for additional packing space or if needed extra fuel tanks. Everything from the Firewall forward had to be designed and built from scratch, this included the engine cradle and mountings, all the new components were stress tested to the highest FAR 23 standards. 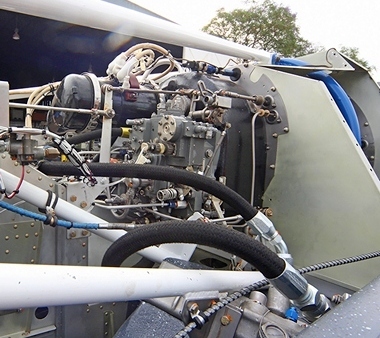 When choosing an engine to power the Falcon 402 many factors were taken into account. 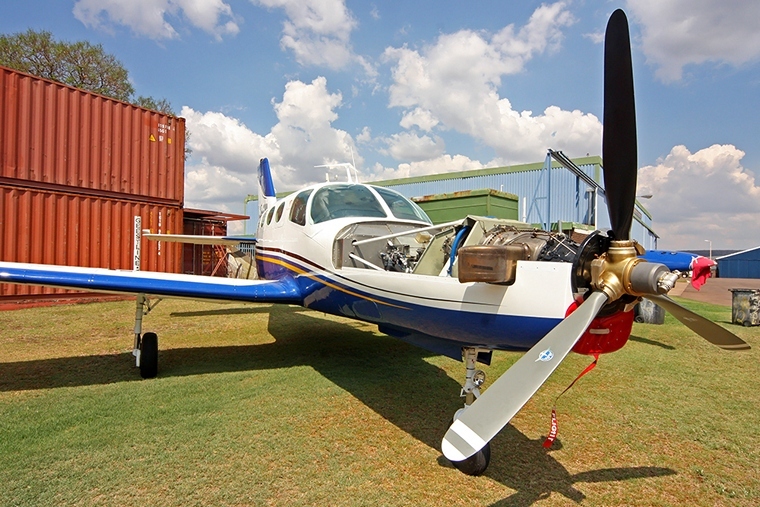 The Walter was the most cost effective option as it was a third of the purchase price of the Pratt and Whitney PT-6 The Walter was designed for remote and rugged use and has minimal field maintenance requirements, which is ideal for African conditions. The Walter also requires minimal maintenance between overhauls, primarily filter and screen cleaning, compressor wash, oil changes, borescope inspection and igniter replacement is all that is needed to keep reliable motor flying. DMI engineering (Gemini systems) designed a start assist computer which is incorporated in the Falcon 402, this has eliminated the risk of engine damage during start-up thus prolonging the life of the power plant. The Falcon 402 greatly out performs the original Cessna 402. Due to the use of modern composite materials and the lighter power plant the Falcon has 800lbs more useful load. 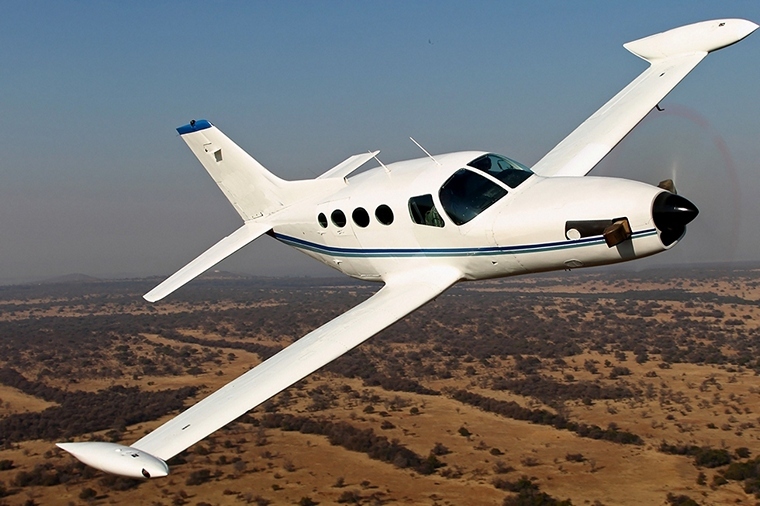 The cruise speed has been slightly improved from 175 to 185 knots, although the Falcon is slightly thirstier than its predecessor, burning 175 litres per hour compared to the Cessna's 133, the price of paraffin is less than half that of Avgas making the cost per hour considerably less. The reduced take-off and landing distance makes the Falcon 402 the ideal aircraft to operate in and out of short African fields. Falcon Air is working towards obtaining authorisation as production build and ultimately type certification in accordance with FAR23 standards. We wish Hendrik and his dedicated team at Falcon air great success and look forward to seeing more Falcon 402's gracing our skies.